A unique opportunity to experience military history and enjoy a great family day out. Take A Step Back In Time and See History Brought To Life! 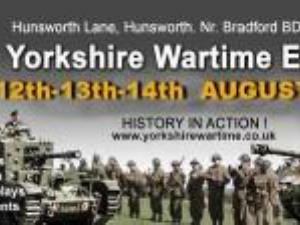 The Yorkshire Wartime Experience , now in it's eigth year, is regarded as the North's Premier & Largest Military Vehicle and Re-enactment Show. SAT 6th & SUN 7th JULY.